A lot to see in one photo. I like all the lines and I especially like the yellow frames on the inside. 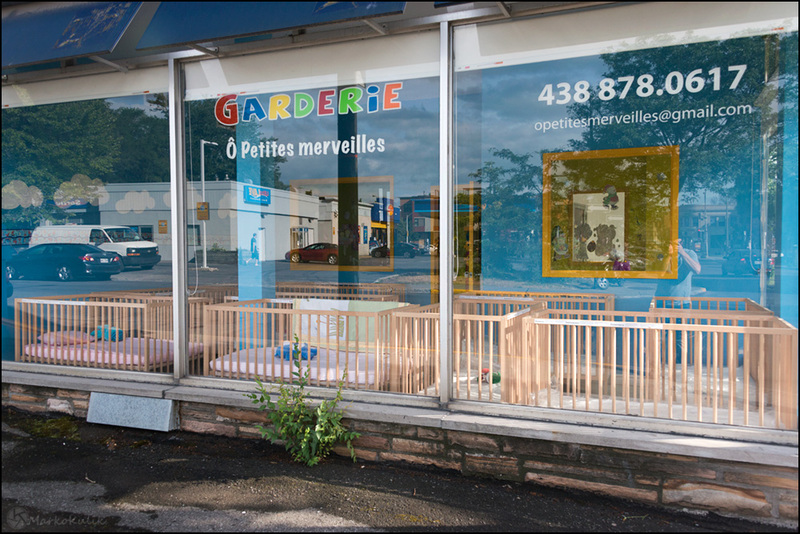 I was just thinking, if you used a polarizer, you would have stripped out the reflections and they are the part of the photo that gives some insight into the neighourhood the daycare is in.